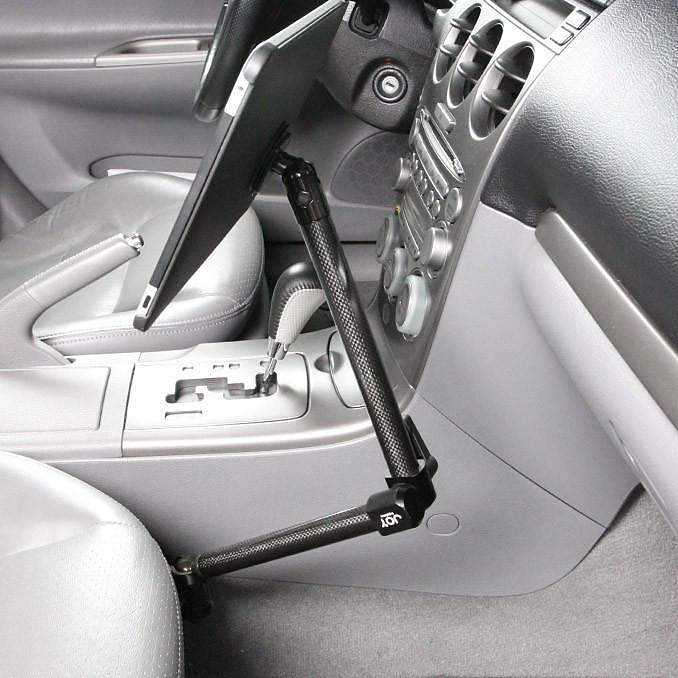 HomeBlogTechnologyValet, the ultimate iPad car mount by the Joy Factory. 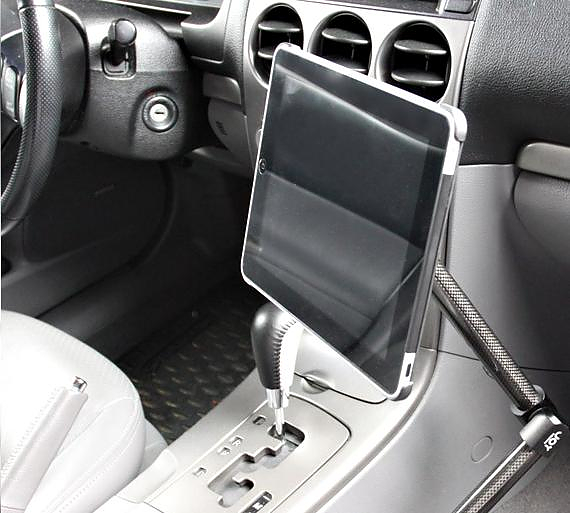 The Valet iPad car mount by the Joy Factory is the perfect iPad accessory for your car. 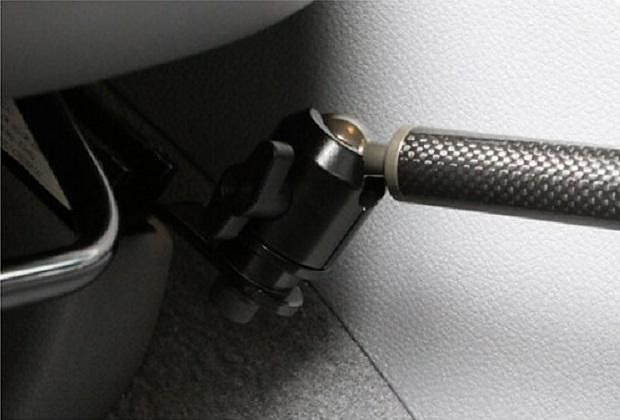 Made of carbon fiber the Valet sturdy arms secure your device with small weight and flawless Hi-Tech aesthetics. The arm connections are made of anodized aluminum in black color complete the image of a unique and high quality structure. 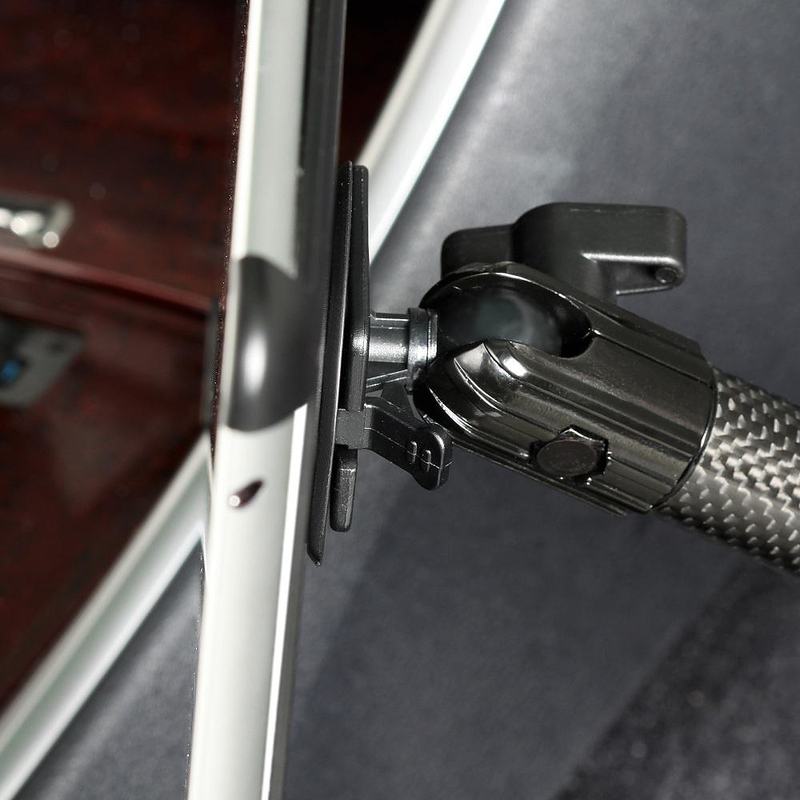 The Valet iPad car mount by the Joy Factory adjusts to any car interior and manages to fit elegantly even in expensive cars with exquisite interior design. 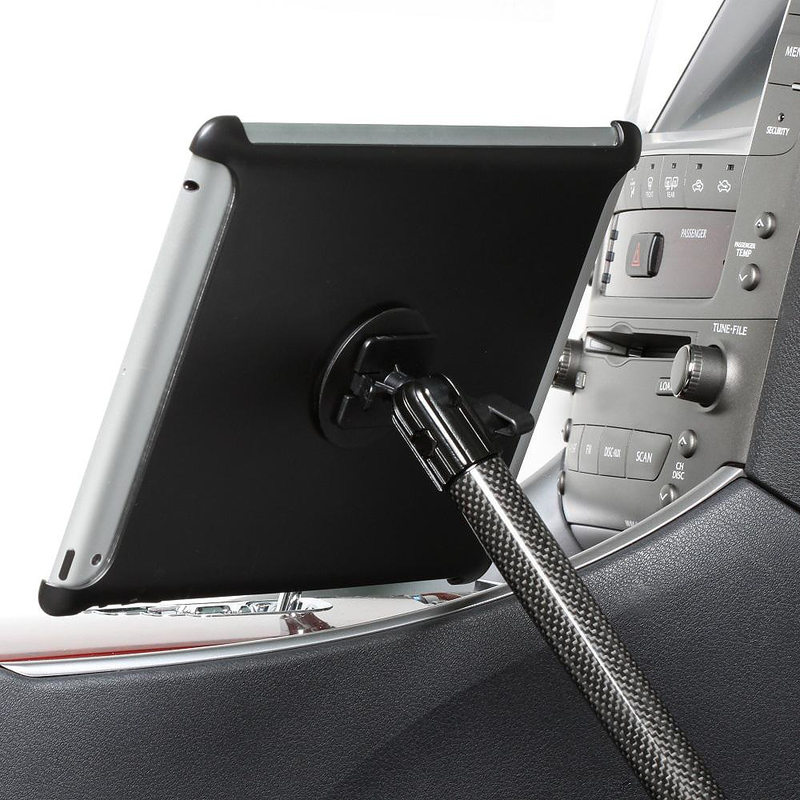 The Valet iPad car mount is the ultimate mount for the iPad, miles away in functionality and aesthetics from any other iPad car mount out there. From the first day of its release the iPad got prime reviews from users. Its large touch screen is ideal for GPS navigation and presenting tourist information, as well as a fine means of entertainment, for the co-driver of course. 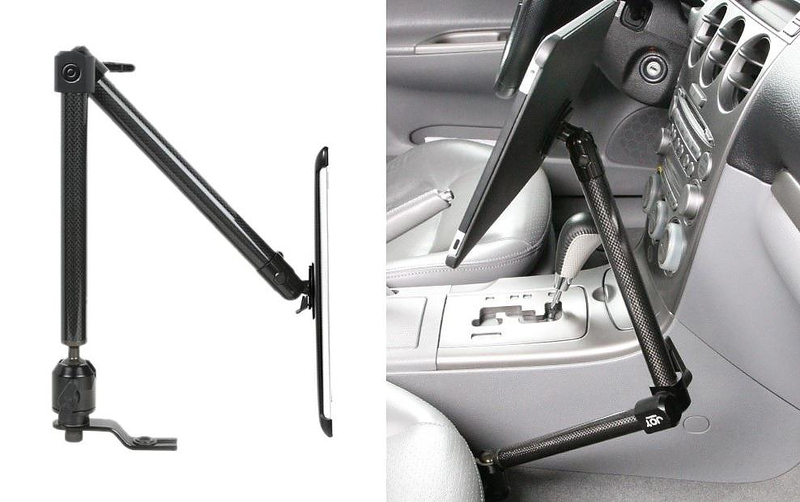 But, the construction of an iPad car mount for a 9.7’’ screen is not as easy as it is for the smartphone mounts. 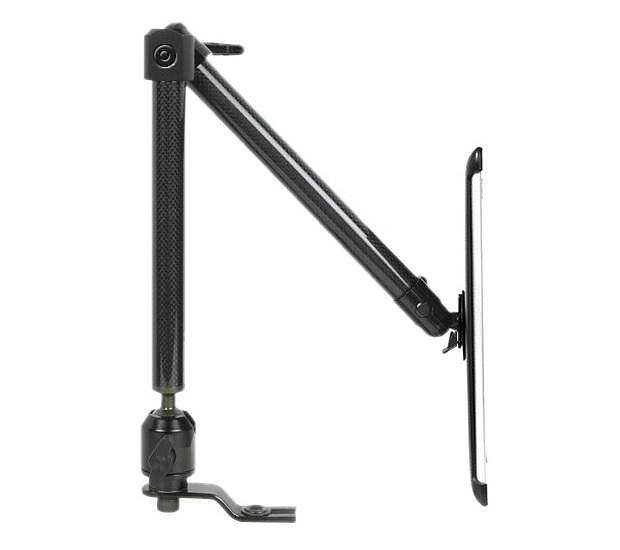 The volume of the iPad forbids windshield placement and the overall weight requires enhanced support. 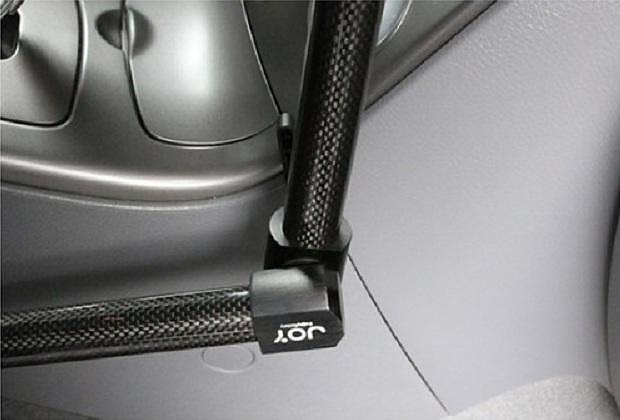 The Valet iPad car mount by the Joy Factory solves each and every one of the above problems by using a mechanism that fixes the mount with steadily on the car seat base. 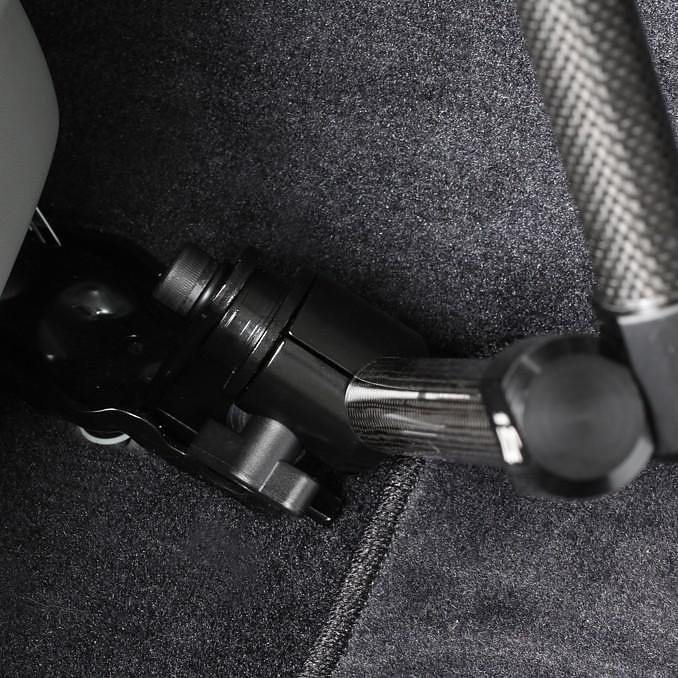 High ergonomics is applied with the two carbon fiber arms with adjustable height and device orientation, while the base where the iPad fits features a Snap-n-Roll™ mechanism for easy placement and release. The mechanism also allows you to switch the screen from landscape to portrait mode. 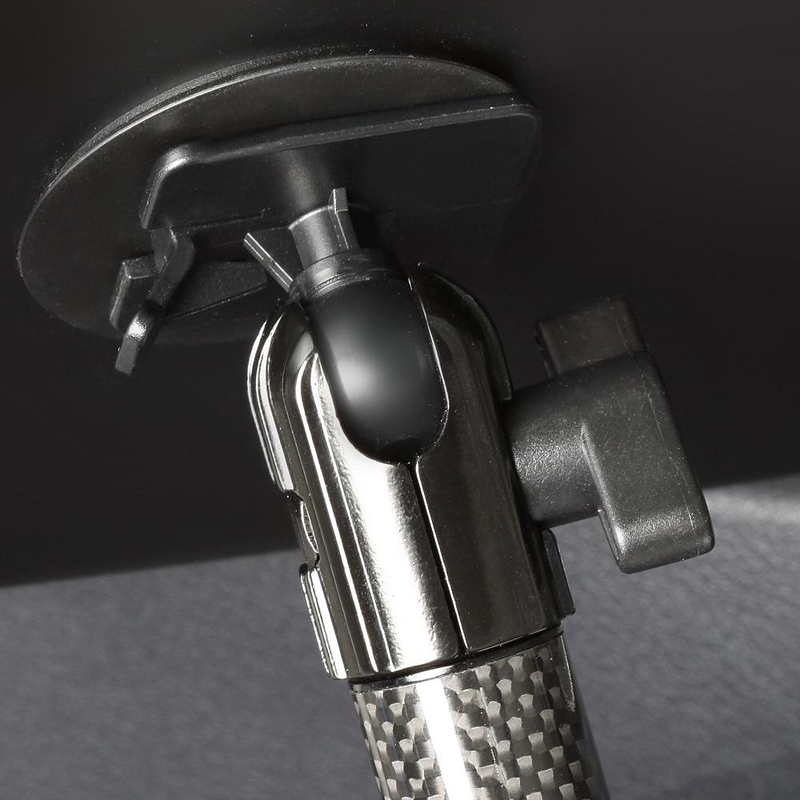 The Valet iPad car mount is a safe, functional, light companion for your iPad.